The common denominator among the LinkedIn moms that are featured in this article is their power to stick in their pencil-sketched daily activity schedule. In other words, their mastery of priority management. It has been a common ground for them to work as a night owl as the majority are - night person or start their routine before the sun breaks. What surprised us most, is their ability and passion towards influencing and empowering other moms as well. LinkedIn has become a great medium for entrepreneurs to connect with like-minded individuals and find comfort knowing that there are comrades who share the same sentiment of the same lifestyle. Majority of lady millennials of this age are still facing dilemmas concerning the balance of work, family and fulfilling societal purpose. But despite of these, there are individuals who managed to ace all aspects. This is to salute all transformist moms out there. The common denominator among the LinkedIn moms that are featured in this article is their power to stick in their pencil-sketched daily activity schedule. In other words, their mastery of priority management. It has been a common ground for them to work as a night owl as the majority are – night person or start their routine before the sun breaks. What surprised us most, is their ability and passion towards influencing and empowering other moms as well. The unending-great demands of being a mother has not stopped them to just settle in their purpose to earn a living for their family but also to give back to the community and be of greater influence. 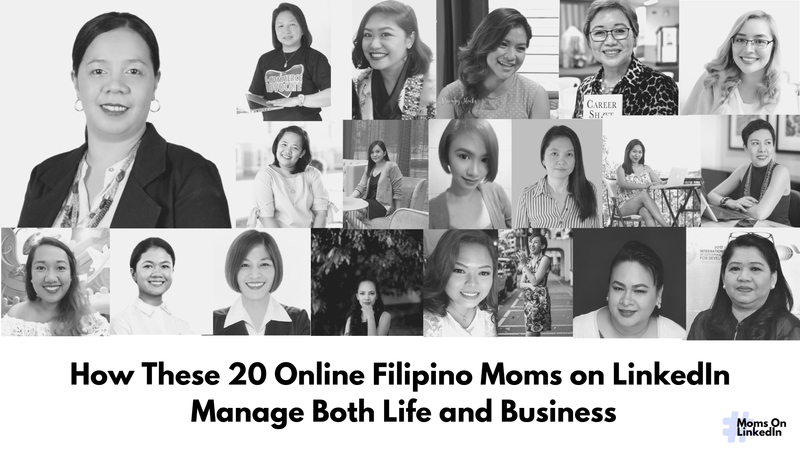 These Filipino moms have shown us that to become a mother of this digital age is even more challenging than before. For moms, every move in the digital scene particularly in LinkedIn has been dedicated to improve the next generations outlook towards optimism and leaving positive impact. Powered by millennial-influence, these moms have also shown us that it is also possible to still allot time for enjoyment and self-rejuvenation. Inspired to motivate other digitally-active moms, mompreneurs and future moms-to-be, we have asked 20 LinkedIn moms in our circle of connections, starting with the author’s point of view as well to show us a glimpse of a LinkedIn Mom’s daily work schedule and to share a little extra about them. Reasons for using LinkedIn: The first reason why I started out in LinkedIn is to be visible in social media with my potential clients and to establish my brand. Little did I know that LinkedIn is more than just your average social media platform. 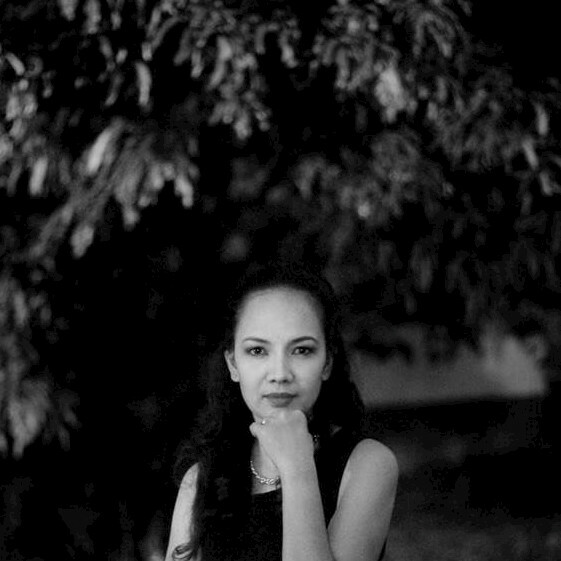 Short description of yourself: I am a wife, a mom, an entrepreneur, a web designer and a LinkedIn enthusiast. I love creating stunning and sales-generating websites that would help people in their businesses. I start my day with a prayer and read my Bible. Next, cook for our breakfast. Then, when my baby wakes up, I’ll give her milk and change her diapers if needed. Then, I would open my laptop and start answering emails. I always make sure that I’m ahead of my scheduled tasks to ensure clients will be able to meet their deadlines. My husband who is working in Amazon comes home every morning and sleep. I would stay awake typically from 12 midnight but I always do my best to be at bed before 11 p.m. to take care of my skin. Since my dermatologist advised me to do my best in sleeping early and avoid working longer hours at night. I would like to be remembered as a loving and understanding mom who would do everything for her child. My greatest dreams are to help the youth and help them finish school. I would also like provide more opportunities for everyone especially for moms through helping them leverage on LinkedIn. Reasons for using LinkedIn: To connect with women who needs support, encouragement and inspiration in pursuing their dreams. Short description of yourself: I am a full-time mom who loves to daydream while cooking or doing the dishes. Since I do not have a helper, I do most tasks in the morning (dishes, laundry, cook, bathe the kids). In the afternoon, we play and squeeze in some time for work before dinner. I resume my WAHM hat after the kids go to bed. How would you like your child/children to remember you: I’d love for them to remember me as a mom who loved them unconditionally. Your greatest dream: Oh boy, I have a lot!!! I’d love to be featured in a magazine. I’d love to have my own talk show. I’d love to be at the stage of TED Talks. But ultimately, I’d love to empower thousands of women to reach their full potential for God’s glory. I use LinkedIn for building networks in the business industry. It also gives me the social media presence wherein recruiters, executives, entrepreneurs and etc. might turn into potential clients the way they see my profile. This is a great channel for B2B opportunities. LinkedIn is also a ‘show off’ of my experiences and skills based on my work experience. In LinkedIn groups, it allows me to share a link or a topic for discussion wherein members will interact and provide their opinion. I’d describe myself as being very competitive and hard-working at the same time. I love to be challenged in what I do. I seek solutions with problems without any help from anyone. I know when to ask for help and I don’t stay quiet if I do need assistance. I’ve learned it from working with Martin Conboy, a speaker and outsourcing specialist. He taught to me think out of the box and that drives me passion whenever I work, creating positive results. That’s what my clients liked about in terms of working with me, providing them results more than what they expected. I wake up early morning, pray for a productive day and do some stretching. I prepare breakfast for the kids and send them off to school. Then, open up my emails and start my tasks. Pair it up with some good music to increase the energetic mood while working. When, work is done, it is time to prepare dinner for the family and assist my kids with their school assignments. Even if I am busy at work, I also need to spend time with my family on a daily basis. My kids know how much I love them. I strive hard and even harder for their future. I want them to remember me how hardworking and multitasker I am, How passionate I am in terms of work, but can keep the balance of taking care of them. They always see what I do when I work at home and I want them to remember that. I want them to not forget as well what I taught them about how to become successful by starting to dedicate their time in studying hard while they are still young. My greatest dream is to see my kids become successful in their chosen field of work. Reasons for using LinkedIn: For my current home based job at a Digital Marketing agency based in the US. I am a lead generation specialist in which we utilize LinkedIn as one of the platforms to generate leads. Short description of yourself: I am a widow with 3 kids. All boys, 15, 6 and 4 years old. I used to work for a Pharmaceutical Company as a Territory Manager and worked there for 12 years 4 months. 2017 when my husband passed away accidentally with a heavy heart I decided to leave my career and take care of my kids and make sure that they deal with their dad’s death with me by their side. Fast forward to 2018 I started attending workshops, watching youtube videos, googling articles and joined online training about various home-based work. I saw an opening at BMG. My current job and applied. I got hired last June 2018. I currently have 2 jobs. At night I am a lead generation specialist at BMG and during the day I am an eBay/Amazon product lister/customer service. 4:00 a.m. Wake up 15-year-old to get ready for school. 4:00 a.m. – 9:00 a.m. Work for the night job. 9:00 a.m. – 10:45 a.m. Wake up 6 & 4-year-olds. Cook them breakfast, feed them, fix their school food, bathe them, get them ready for school. 11:00 a.m. Leave for school. 11:45 a.m. Arrive at school. Take them in class. 12:00 n.n. – 2:30 p.m. Go to Starbucks and work for the day job. 7:00 p.m. Rest, eat dinner. 9:00 p.m. – 10:00 p.m. Finish up work for the day job. How would you like your child/children to remember you: I would like them to remember me as a loving mom who would do anything and everything for them and support them with all the decisions they may have. And a person who always helps out anyone who needs me. Your greatest dream: To see my boys be happy and successful in life. Reasons for using LinkedIn: To make great connections, nurture what I already know, and learn more in between. By this, I can eventually apply it to my current job role. Short description of yourself: Loyal, unassuming and sometimes a perfectionist. I also like clear guidelines and is very cautious about the new. How does your daily routine/schedule look like: Full but manageable. My daily routine consists of a mixture of daughter, mommy and work duties. How would you like your child/children to remember you: I want them to remember me as a strong independent woman who has been through a lot and yet I made it through to those struggles. By the time I am gone, I want them to be the same. Then, I will be at peace that they’d be okay. Your greatest dream: To have an almost perfect relationship with my family for I am not sure when I grow old if I would receive the same care and attention from my children and in-laws. When I started my freelancing career, I used Linkedin mainly for connecting with foreign employers and be found. Now that I started my own community and business, I connected to Founders/CEO and other professionals to boost my brand. I’m currently doing email support for a tattoo shop in Canada and social media management for local and foreign clients. 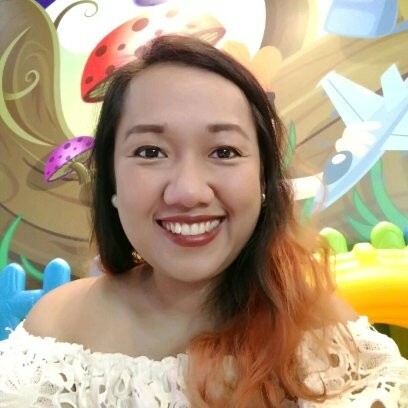 I’m also the founder of the first and the biggest freelancing community for work-at-home moms here in the Philippines. Aside from juggling my online jobs and responsibility as a Founder, I make sure not to forget that I am a happy wife to my husband, Jim and a supermom to my 3-year-old son, Luke. I am people-smart, I work-smart, and naturally witty. I like working with people and generally has a helping hand helping hand I am born to be. I can feel it when people, clients, or customers are having problem or issues, and solve in the best I could. I am known as a person easy-to-deal-with and I always make sure to spread happiness and satisfaction to people around me. 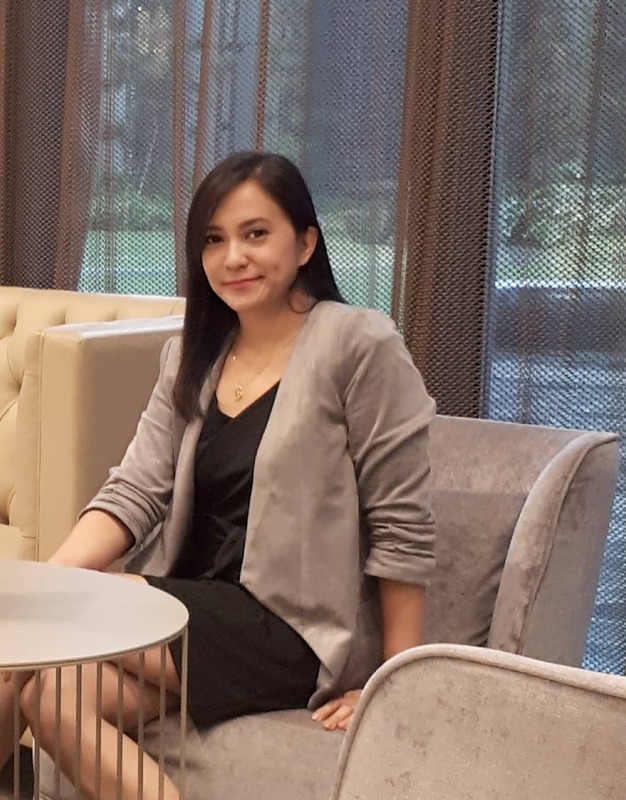 I am also one to be defined as an employee who works smart, as I make sure to create and deliver quality outputs and never hesitates to seek help and knowledge when it is needed. Last would be, I am naturally witty, I know how to answer queries, questions, and problems lightly which is a great marketing strategy to get the trust of customers. I believe all these are just the cherries on top of my quirky, fun, but ever-reliable work and life attitude. 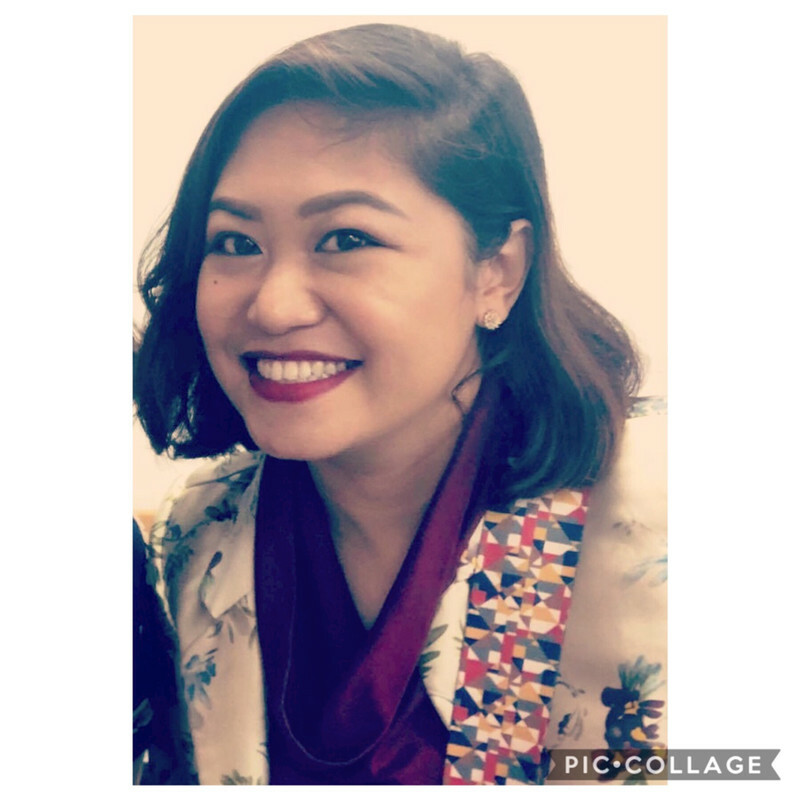 My typical workday is really busy, I usually spend 8 – 12 hours a day on the computer for my job and checking in on my community, Filipina Home-based Moms (91,000 members). The remaining time, I spend it with my son and hubby and the last couple of hours for sleeping. I want my children to not just remember me as their cool mom but the experience they had when they are little either our bonding moments at home or travel memories with the whole family. My greatest dream is to build a nationwide community of work-at-home moms governed by love, respect, and hope for a better and empowered life. Reasons for using LinkedIn: I’ve only started to use it recently. I’d like to use it to grow my brand as a Transformational Coach. Short description of yourself: I’m first & foremost a wife and mother. I’ve chosen to work from home as I guide women as a coach, so that they claim and live aligned with their core values and their personal brand. Once you get clarity & confidence in your area of genius & your personal brand, you become a magnet for better clients, better jobs and a fuller life! Feminine. Brave. Kind of a badass. Mondays and weekday mornings are ‘no client’ days and times, and they are for the children’s homeschool/self-directed learning. I meet clients after lunch, typically starting from 2:00 pm up until 6:00 pm. I do exercise before lunch, 4 times a week. I cook all our meals; usually I freeze some of them for easy reheating, and cook some fresh veggies for the meal. I am inside my Facebook free coaching group for an hour a day; I do my group coaching programs twice a week. By 7:00 pm, we eat dinner together and usually, I stay offline, except for people I like to chat with as I wind down. We sleep with the children by 10:00 pm every night. Sometimes if I’m up for it, I’ll do a friends binge-watching, or watch something on Netflix. That I was there with them in their youngest, tenderest years. This is why we home-educate/practice self-directed learning. That I worked hard but played just as hard. That their dad and I put them first, always. Your greatest dream: To become a speaker, writer and a philanthropist that is known for championing women who want to create blissful lives of freedom, particularly women from third world countries who want to be world-class leaders. Reasons for using LinkedIn Leisure, Learning, Network with like-minded people. Short description of yourself: I am a digital marketing director by profession. I have been given the privilege of working with various industries for the past 10 years wherein I assist companies grow and position their brand from the ground up. Today, I now handle my own team where we manage personal branding, content marketing, SEO (Search Engine Optimization) and other digital marketing services. I’m happy to say that we are very successful at what we do. It’s not just work for us but a lifestyle as it gives us the freedom to work on our own terms. With all this, LinkedIn has been a tremendous help especially in connecting us potential clients and other professionals. How does your daily routine/schedule look like: I’m nocturnal. Even when I was young, I’m most efficient during night time. And it works well for me since most of my clients are from the USA. Even so, I still try my best to wake up early so I can attend to my husband and son’s needs. Once they leave for work and school, I immediately start working and will just take a break once my son arrives from school. This gives me time to help him with homework and spend some quality time with him. Once he goes to bed, I resume working until the wee hours of the morning. This is my daily routine except during weekends. How would you like your child/children to remember you: I want my children to remember me as a loving, caring and understanding mother. I am not a perfect wife or mother but I want them to see me and my husband as ideal parents who are very open to whatever they are going through and will always be there to support them. Your greatest dream: Career-wise, I want to be successful and be known in the digital marketing field. I have to be strong and committed so I can continue to build up my team. In the same way, I need to be dedicated to my field so I can provide the best service to my clients. As a parent, my greatest dream is for my children to have a secure future. I want to help them achieve their dreams and to be a good person with respect for other people. As a wife, I want to enjoy and spend the best moments of my life with my husband. Reasons for using LinkedIn: To build my network and establish my social media presence. 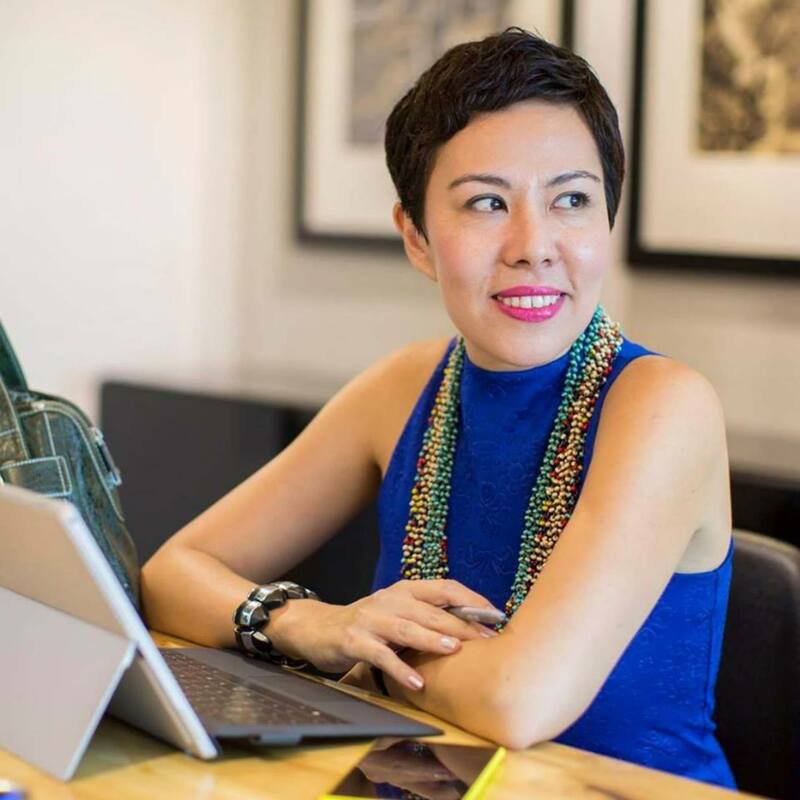 Short description of yourself: I am a mother, digital nomad coach and an entrepreneur managing a virtual assistance and digital marketing agency. 3 words that can best describe you: Fighter, explorer, dreamer. How does your daily routine/schedule look like: I haven’t had a daily routine or schedule since becoming a digital nomad. I can stay at home all day with my son. Sometimes, we go on spontaneous family trips or on our mother and son dates. How would you like your child/children to remember you: I would like my son to remember me as his mom and best friend who loves him so much and as protective as I may be deep down, I will always encourage him to experience life and chase after his happiness, wherever that may lead. Your greatest dream: My greatest dream would be to visit every country with my family. Reasons for using LinkedIn: I use LinkedIn to build my online network and reputation as a virtual assistant trainer, speaker, and consultant. 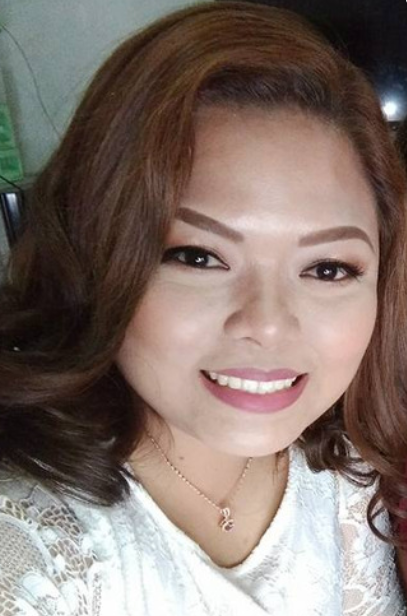 Short description of yourself: I am fascinated by the vast online opportunities I discovered and has dedicated my time to share them to everyone, especially to mothers like me who feel that they no longer have a career but to stay at home and take care of their families. I want to empower every Filipinos by educating them about online entrepreneurship. 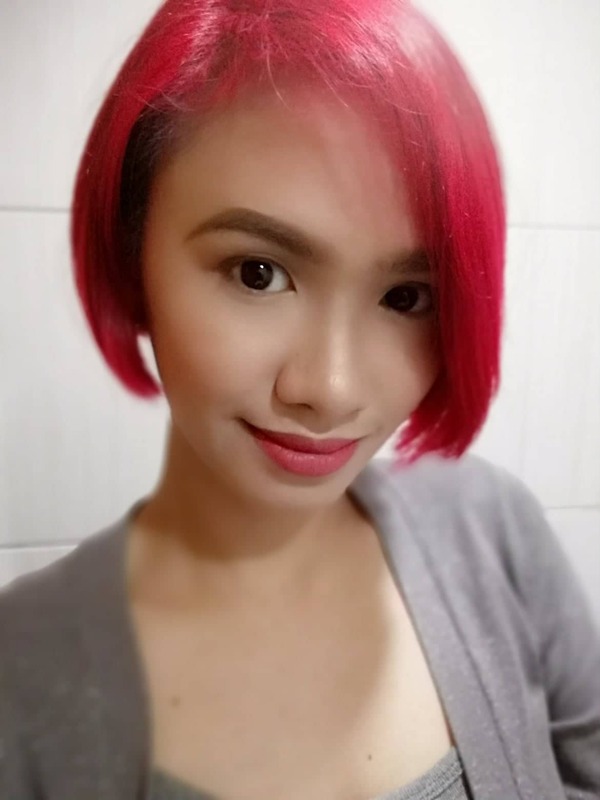 How does your daily routine/schedule look like: Mommy duties in the morning from 8 to 10 a.m., work from 10 to 12 n.n., lunch and homeschooling activities from 1 to 5 p.m., business duties onwards ’till 12 to 1 a.m.
How would you like your child/children to remember you: I want my children to remember an unconventional mother who goes out of her way to educate them and others about life, business and values. Your greatest dream: To educate as many Filipinos as possible about the benefits of working or building a business from home and how to build their own business based on their passion. Reasons for using LinkedIn: To connect with my fellow freelancers and meet inspiring entrepreneurs and business owners. Short description of yourself: I’m a work-at-home momma to 3 homeschooling children. I started online selling in 2009 and transitioned into online freelancing in 2014. I have worked with international clients as a Virtual Assistant, Social Media Manager and an eCommerce Specialist. I recently Founded a Social Media Marketing Agency and plans to offer my services to help local entrepreneurs and start-ups. I also help aspiring work-at-home moms thru my Facebook community by giving free consultation and tips about social media. How does your daily routine/schedule look like: I prepare our breakfast every morning while my eldest daughter helps me with the chores. My husband also helps with other household tasks as I prepare for work at 1:00 p.m. onwards. I usually work 5 hours a day and spent the rest of the day communicating and connecting with my Facebook group members. How would you like your child/children to remember you: I would like my children to remember me as a passionate “goal-digger”. Someone who is not afraid of dreaming and fulfilling her goals. Someone who is not afraid to make mistakes because she knows she’ll learn from it and she’ll do better next time. Your greatest dream: To become successful in my field so I can inspire and help more moms. I dream of becoming a Women Empowerment Coach and Inspirational Speaker. Reasons for using LinkedIn: I use LinkedIn to expand my professional network, and be able to showcase my brand to potential clients for my social media services and of course to promote women empowerment. Short description of yourself: I am a dedicated homemaker and a passionate entrepreneur. I am a mother of three beautiful kids. I run my own home-based business (Belle Âme Essentials) on top of the online freelance jobs that I do for clients to help them in their digital marketing. Adding to my plate is MOMpreneurs Club PH – the dynamic community that I founded for the Moms who are into business. 3 words that can best describe you: Compassionate, Strong- willed, Resilient. How does your daily routine/schedule look like: My weekdays are mostly packed. Mondays to Fridays, I woke up early in the morning to help the kids prep up for school. After breakfast, I will start working for my perfume business and/or my community (Mompreneurs Club PH) and then shift to work on my tasks for my social media marketing services after lunch. I take a break when my boys come home from school early in the afternoon. I’ll take another break when it’s time to cook dinner. After dinner, I go back to work on my perfume business until my husband comes home. Weekends are dedicated to my family. It’s either we just stay at home and binge watch or go out to do whatever. And on Sundays, we make sure we attend Sunday services. I would like my kids to remember me as the Mom who, out of so much love for them, was able to conquer her fears, took all the pain and overcame all the challenges life threw at her just to secure their welfare. I would also like my kids to remember that their Mom, despite her imperfections and weaknesses, was still able to inspire many people to fight for and work on their dreams. I would love to have a business that can earn abundantly not to just secure my family’s future but also can support my own charitable foundation. Your greatest dream: To fulfill all my dreams. Reasons for using LinkedIn: 1. I use Linkedin primarily to connect with professionals worldwide, especially those from the same industries. 2. To learn more about the latest trends and developments in my industries, and in the personalities, organizations and countries where I have professional connections. Short description of yourself: I have always been a career mom, always trying to strike a balance between work and home life. I am happiest when I am able to add value, no matter how small, to anyone, whether he reaches out to me or not. I look for opportunities to help make an impact in small or big ways. How does your daily routine/schedule look like: My day starts with a short prayer of thanksgiving for the opportunity to live another day, and for guidance to make it a productive and meaningful day. Since I am a working mom, my morning revolves around working around my home office, with the mop and laptop as my tools. It has become a routine to check if things are in order around the house, and then greet our pets before I proceed to work around a list, which I prepared the night before. Afternoons are usually spent in the office, unless I need to meet with clients in their offices or somewhere else. Dinners spent with family. Before the day ends, I make a quick reflection of what transpired during the day and another list for the next morning. This way, the tasks which are more important and urgent get to be done first and there is time left to be more mindful, instead of always rushing throughout the day. How would you like your child/children to remember you: I would like to be remembered by my children that allows them to become what they wanted to be, and having the values of humility, kindness and service ingrained in them. Your greatest dream: To become a successful Filipino woman entrepreneur and help other women from all over the world become one too. I’m an entrepreneur, community builder and passionate advocate for location-independent work. I’m also the Co-Founder of Connected Women, a community and online jobs platform that matches women entrepreneurs to talented women freelancers and remote workers. Before I get out of bed in the morning I spend 15 minutes quietly reflecting on the day ahead and run a mental checklist of the priorities I set the night before. Then I get ready within 15 minutes and have my first cup of coffee. While having my coffee I spend 15 minutes checking urgent messages on Whatsapp, Facebook Messenger and Flock. I leave at 8 a.m. to take my son to school which is nearby so we can walk with my husband and our dog. We’re home by 8:30 a.m. and it’s time for the second cup of coffee of the day while whiteboarding priorities. I’m ready to work at 9 a.m. and I start with checking social media channels and non-priority messaging channels for 30 minutes. I typically check social media every 3 hours starting at 9 a.m. at which time I take a stretch break and top up my water intake. I check in with my team on Slack at 9:30 a.m. and work through 12 p.m.
As a fully remote team everything we do is online through chat or Google Hangouts. If I need to have meetings in town, I try to limit travel to one or two days a week. I don’t drive or have a car, so I rely on Grab which means I can work while on the road. After lunch I carry on working ‘till 3 p.m. then I break for my 3rd cup of coffee, play with our dog and check on our youngest son who was back from school. I normally work till dinner at 6 p.m. when we catch up as a family including with my 2 older boys. I take a break after dinner to help with homework and school stuff, and hangout with my son ‘till he goes to bed. Often, I still have work to do so I get back to that now. At the end of the day, I shower, get ready for bed, relax with my husband, or reply to emails or social media messages. Although I’m naturally a night person, I’m trying to build a habit of sleeping earlier so I usually read for an hour from 10pm, then listen to a sleep meditation which really helps me to switch off. As someone who was there for them and loved them no matter what. To always find happiness through service. Reasons for using LinkedIn: Keep an updated biography and make professional connections. 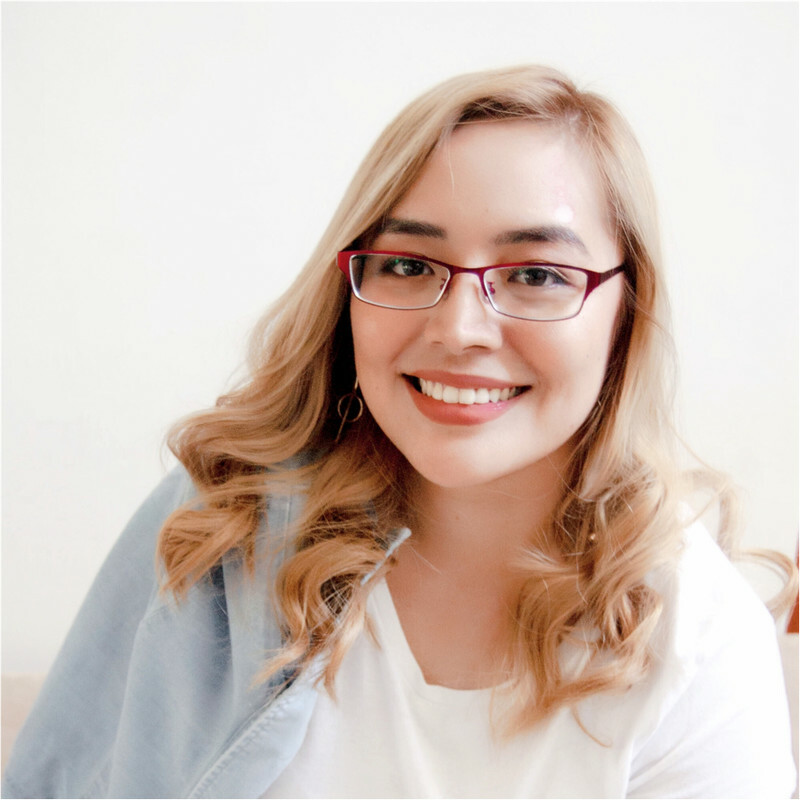 Short description of yourself: Melissa Profeta has a total of 9 years experience in Marketing and Sales and has put her best practices on her headline. 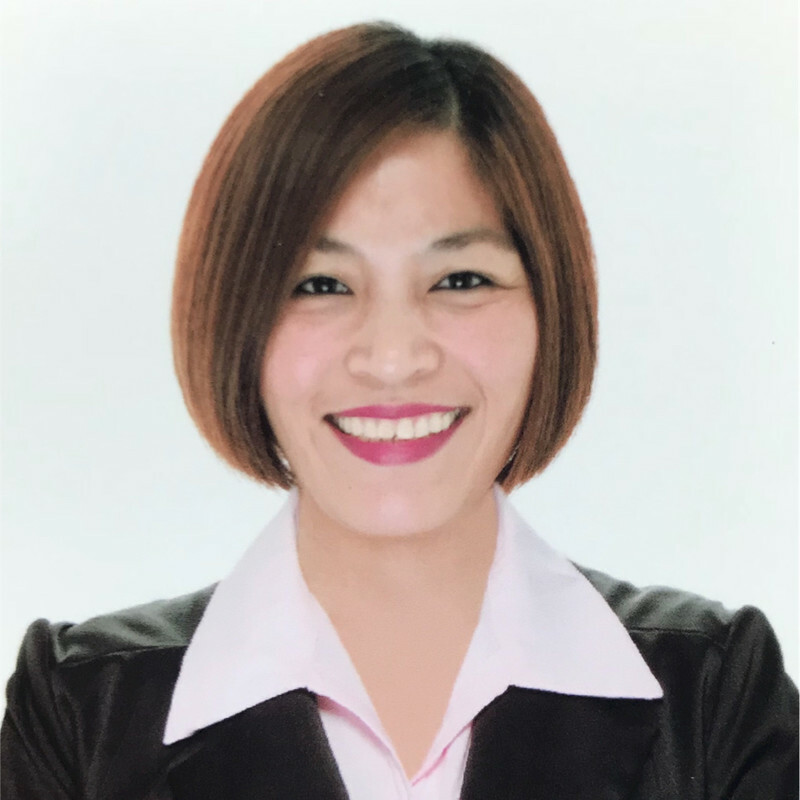 From traditional face-to-face high-ticket product selling, telesales, multi-level marketing, and endless pitching and presentations, Melissa has coursed through these and excelled in several industries. Melissa also led up not less than 500 people in doing sales and marketing. She is the co-founder of Social Media Academy with over 700 students and counting. She is sharing her marketing skill sets, leads and develops social media marketing experts. She also co-founded the PR firm, Prime Press where they get brands on major publications like Forbes and Entrepreneur. Melissa is also a columnist and an active contributor to high-level blogs like Influencive, Thrive Global, Good Men Project, and Buzzfeed. Your greatest dream: I aim to inspire them with the legacy I’m creating now. Reasons for using LinkedIn: LinkedIn has helped me connect with my peers and potential friends/and clients. I also realized that it is through LinkedIn that I have developed relationships with those who have the same cause as I have and collaboration across boundaries are indeed possible and they truly happen. Short description of yourself: I love helping people, especially Filipinos be the best that we can be. I am passionate about uplifting Filipino lives and us to dream bigger. I follow my passion and I love what I do. 3 words that can best describe you: Passionate, committed, focused. How does your daily routine/schedule look like: I am no longer employed now thus, no day is the same except for my morning routine: Reading Didache, then the bible. I read Joel Osteen’s, I declare every day for the past years, then I do journal. I meditate as well and I recommend this to everyone. Most of the days now, I do coaching (one-on-one) and workshops and speaking engagements. How would you like your child/children to remember you: Loving mom, good provider, positive attitude and wanted the best for them. Your greatest dream: Greatest dream is to see Filipinos achieving our dreams, for Filipinos having businesses, overtaking other foreign nationals. Another dream is to speak about the Filipinos in United Nations Headquaters in NY. Be proud of what Filipinos can even do there! Short description of yourself: I am an entrepreneur / tech startup founder with businesses that revolve around the mission of helping entrepreneurs start their own businesses and help them sustain it. I have also been a speaker in various events, where I talk about entrepreneurship, women empowerment, marketing, social media and even mommyhood! How does your daily routine/schedule look like: I usually go to our office in the morning, pick up my kid from school after lunch and blog in the afternoon. At night, I watch Netflix! Haha! How would you like your child/children to remember you: I think she would remember our “dates”. She loves going on dates with us (separately). We really allot time to have individual dates with her. Reasons for using LinkedIn: My startup’s business model is Business to Business. LinkedIn is the way to be able to connect to professionals in social media that can growth hack our startup. Short description of yourself: I’m a mom-techpreneur. A culture builder. A digital marketing enthusiast. A strategy planning and execution expert. How does your daily routine/schedule look like: Meditate, Gym, Brunch, Meetings, Lunch, Play with my son, Talk to the hubby, A gratitude prayer to say goodnight for another wonderful day. Reasons for using LinkedIn: I use LinkedIn to connect and keep in touch with peers. Short description of yourself: I’m an eCommerce advocate. At my highest value, I deliver independent insights. 3 words that can best describe you: Nimble, autonomous, observant. 1. Creating new content, projects, opportunities, connection. 2. Improve what I have done and currently working on. 3. Close and remove tasks and activities that I don’t need to work on. 4. Review / Prioritize what I need to do (delegate, remove). 5. Time with family and household priorities. How would you like your child/children to remember you: I want them to remember me as a supportive mom. 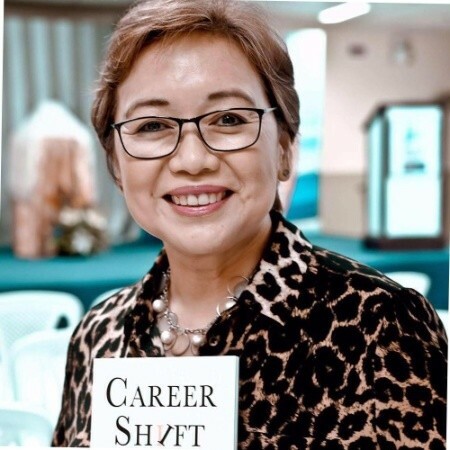 Short description of yourself: Through LinkedIn, I was able to reinvent my career from a college professor for 11+ years to a freelance writer and editor for 10+ years and now as the first independent LinkedIn trainer, speaker and consultant from the Philippines. 3 words that can best describe you: I’m an INTJ (based on the Myers-Briggs personality test; I find this quite accurate!). Mondays – I love Mondays. I try to avoid meetings or any commitment on Mondays. This is when I do my marketing routine, do all follow-ups and plan for the whole week. Tuesdays to Saturdays – I do all meetings and online workshops from 12 midnight until 4 a.m. At 6 a.m., I help in getting my kids ready for school. Then, I continue working on my daily tasks, holding online workshops and doing other projects from 9 a.m. till 4 p.m. These are regular working days for me. Before dinner, I help my kids with their assignments and other school works. Saturdays and Sundays – If we don’t have family plans, I continue working on my daily tasks and other projects. Mondays to Sundays – I do read and write every single day. And I’m on LinkedIn every day, as well. How would you like your child/children to remember you: I just want them to remember how much having them (I have five lovely kids!) in my life has given me the strength I need to keep moving forward even in tough times. I am who I am now because of my family. To sum it up, these moms are just like any of us, ordinary, proving that we can all be transformist in other people’s lives or much more in our family’s outlook towards life. We can all draw inspiration from these power moms and help them empower more women to show the fullest of their potential. And to those moms who helped us motivate other women to be empowered, MANY THANKS FOR YOUR TIME AND EFFORT to make this article possible. 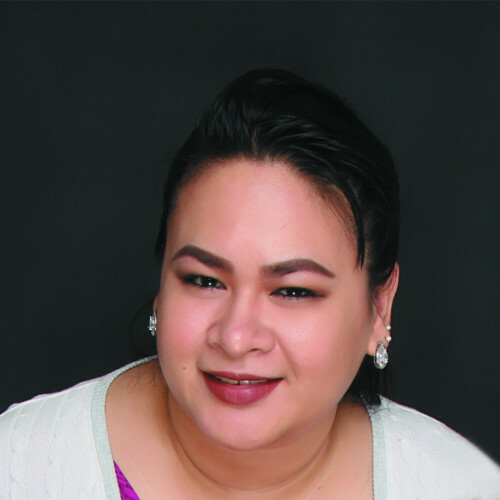 Jane Martinito is the founder of Meiro Studio, the fast-growing web design and virtual business in the Philippines. She was a Psychology graduate with awesome grades but found her passion on designing websites. 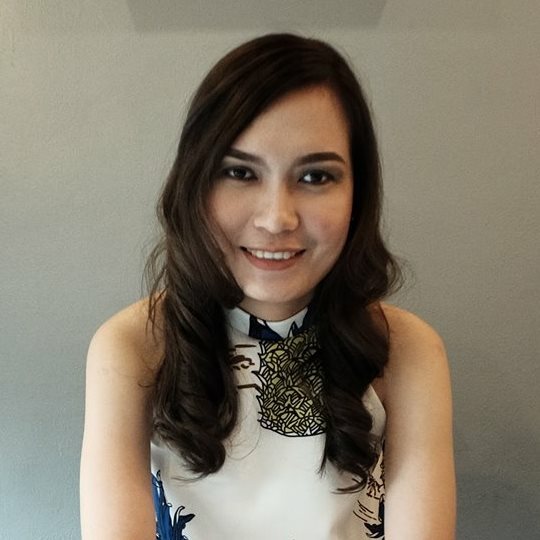 She was also included on the Top Filipino Professionals on LinkedIn to Follow in Marketing in Asia. 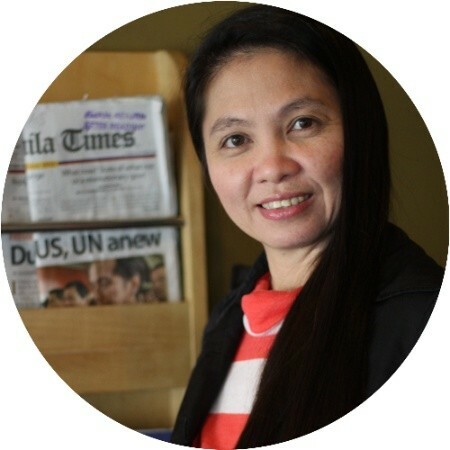 Aside from creating websites, Jane is also passionate about LinkedIn. 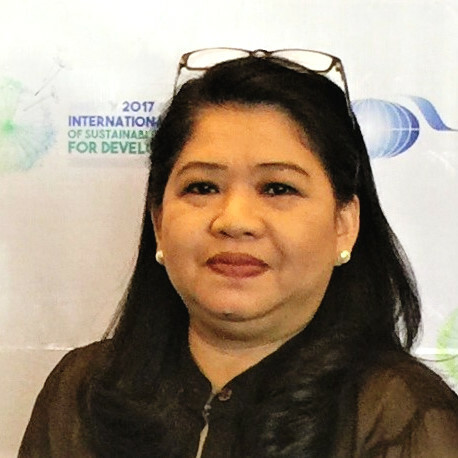 And through the influence of her mentor, Virginia Bautista, she became a LinkedIn Local Host in Cavite. 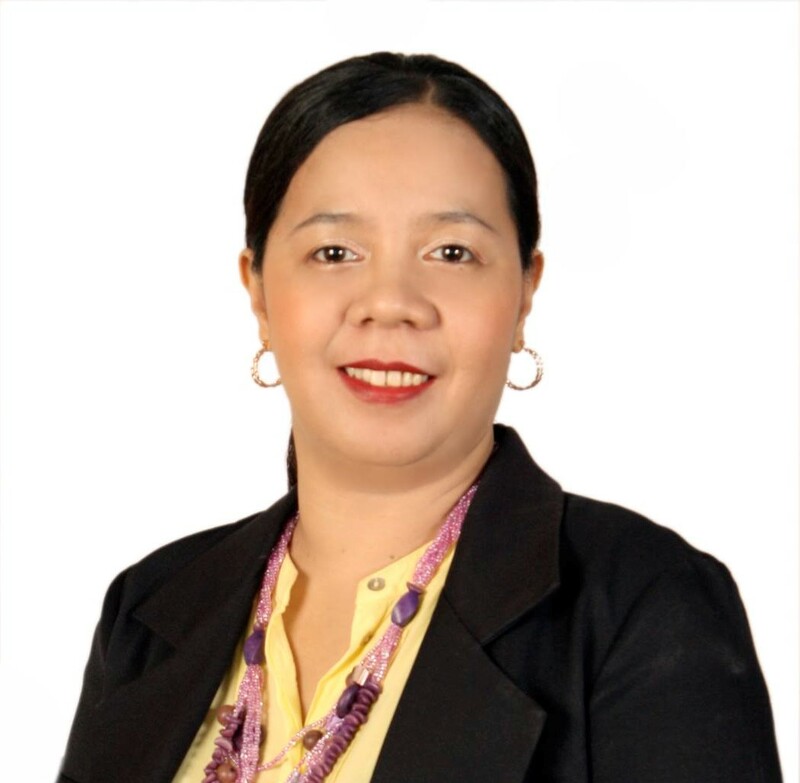 As her way of returning the favor, her mission is to educate all the Cavitenos and the Filipinos about the power of LinkedIn. She is also the initiator of the #MomsOnLinkedIn campaign and founder of the Online Entrepreneur Moms LinkedIn group.